Viknesh Vijayenthiran September 24, 2018 Comment Now! It's hard to believe it's been more than four years since Lamborghini first graced us with the Huracán, especially since the design remains as intoxicating as ever and, in Performante trim, you'll be hard pressed to find a faster car around a racetrack. 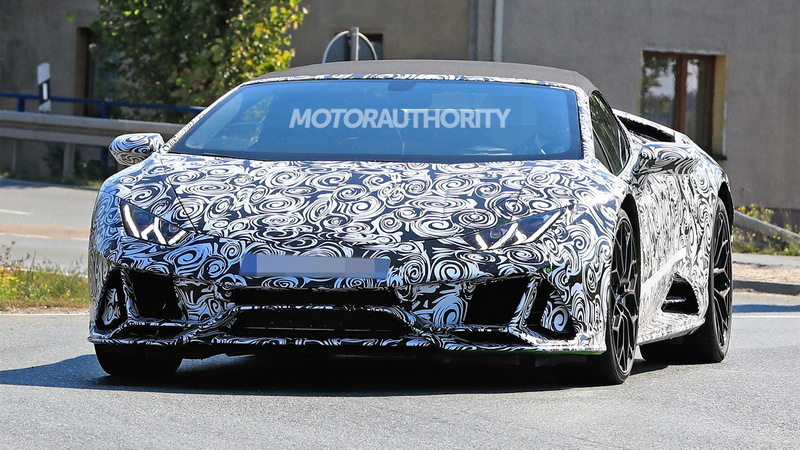 Nevertheless, it appears Lamborghini is readying a subtle update to keep the Huracán looking and feeling fresh as it approaches the midway point in its life cycle. 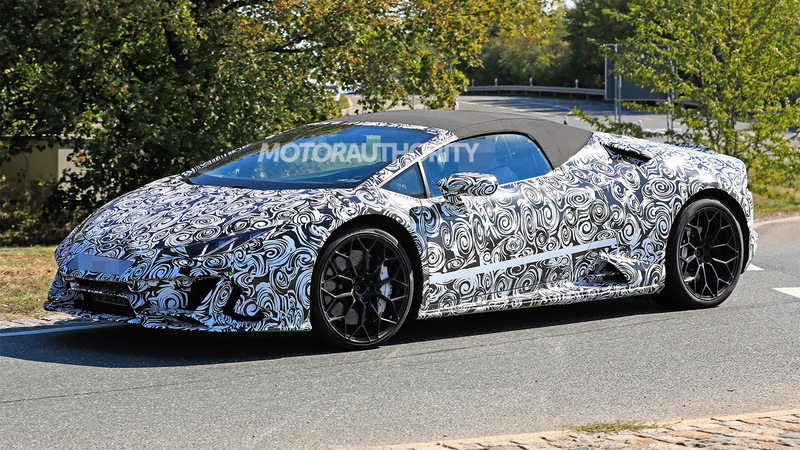 A prototype for an updated Huracán Spyder has been spotted and reveals many of the changes we can look forward to. The biggest changes, visually at least, will be the new front and rear fascias. The rear in particular features a new design for the vents, and the exhaust tips have also been moved. There also appears to be a new rear spoiler. 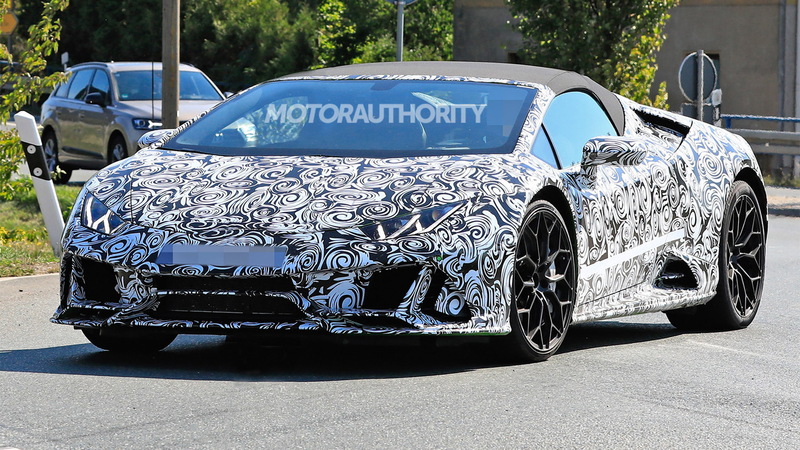 A photo of the interior that previously surfaced on the Lamborghini Talk forum shows that the designers have added a touchscreen display to the center stack. This is likely the same 10.1-inch unit that debuted in 2016's Centenario. 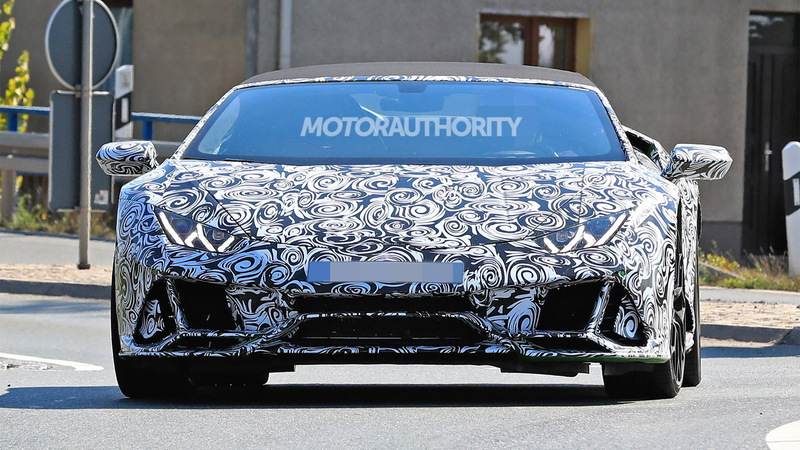 This means we can look forward to many more connectivity options in the updated Huracán as well as the option to view more telemetry data. It isn't clear if we'll see any tweaks to the Huracán's 5.2-liter V-10 though Lamborghini does have a habit of increasing performance with its updates. The Huracán currently makes do with 601 horsepower and 413 pound-feet of torque, with drive going to all four wheels via a seven-speed dual-clutch transmission. There's also a rear-wheel-drive Huracán with 572 hp and 398 lb-ft, and the changes you see here should feature on an updated version of this model too. 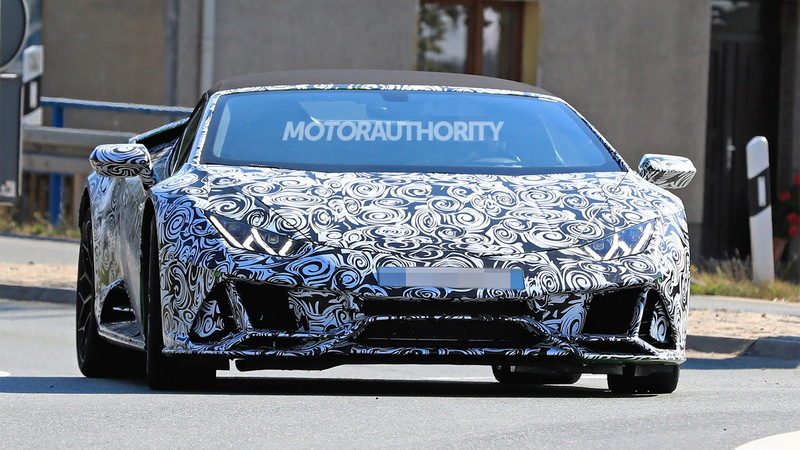 Look for the updated Huracán to debut next year as a 2020 model.